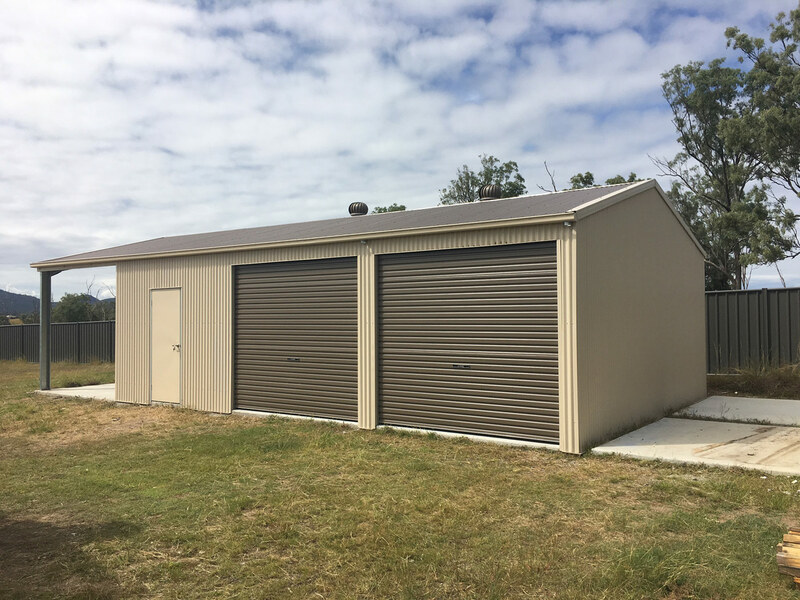 Garaports combine a secure garage with an attached carport and are the perfect cost-effective solution for storing and protecting all your valuable vehicles, sporting equipment, and tools. The additional shelter is also a way of extending your outdoor entertainment options so you can enjoy more quality time at home with family and friends. 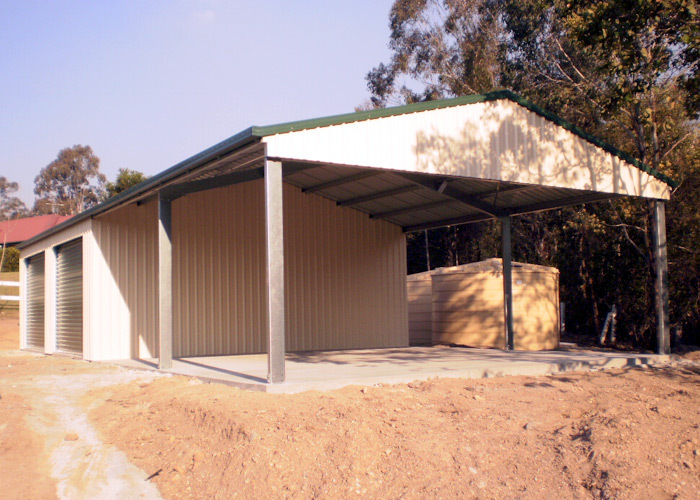 Shed Alliance offers a wide range of standard designs to choose from, but if you have unique site conditions or a particular requirement, our unique ShedTech Design Software enables us to fully customise your garaport size, style, roof pitch, and appearance. Shed’s Alliance supplies garaports from 3m wide to 24 m wide clear spans and wall heights to 6m. Standard roof pitches include 10, 15, 20 and 25 degrees. There are several ways to configure your garaport. You can extend the gable from one or both ends of your garage as an open bay, or continue the header sheeting as well for enhanced weather protection. If your roller doors run along the length of the garage, you could add a carport bays for each. Another option is to attach a skillion carport from the side of the garage. As with all structures from Shed Alliance, you have a great choice of optional extras, such as roller doors, ventilation solutions, insulation, internal walls and skylights. We also offer the full range of over 20 COLORBOND® steel colours or ZINCALUME® sheeting for cladding, roofing and raingoods. The possibilities are endless, depending only on your site conditions and personal taste. The only thing we won’t compromise on is the quality and strength of materials. We manufacture all our garaports from BlueScope galvanised steel C-sections and connection plates, then pre-punch them ready for easy DIY assembly. Our heavy duty knee and apex connection plates are thick galvanised steel and bolt together with a minimum of 8 M12 bolts per plate ensuring your garage is built to last. Standard inclusions have all buildings supplied fully flashed with colour matching screws and 2700 mm wide roller-doors where possible or you can choose your own width to suit from a big list of sizes. All BlueScope steel products come with a standard warranty of up to 15 years. Your garaport will remain looking good and maintenance free for years to come. Not only do we customise our products, but we also can tailor the level of service support to your needs. If you’re handy, we can supply your garaport as a DIY kit, with detailed but easy-to-follow instructions. If you don’t have the time or need additional build and support services, we can help you out with those by connecting you with our trusted and reliable local tradies. Shed Alliance is ShedSafe accredited for even more peace of mind. We guarantee that your new garaport will meet or exceed all relevant Building Codes and Australian design and engineering standards, including AS1170.0, AS1170.1, AS1170.2, AS1170.4, AS4100, AS4600, AS2870, BCA & LHL Testing.